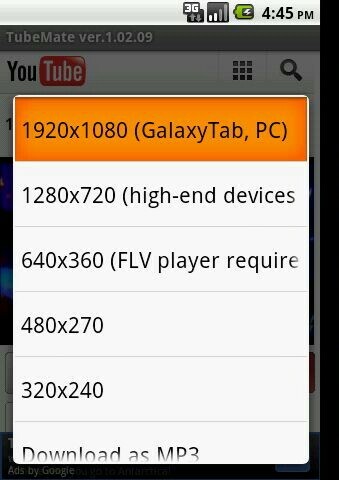 TubeMate is the best YouTube Video Downloader for Android! 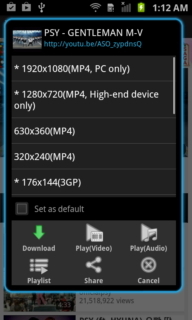 It enables you to quickly access, search, share, and download YouTube videos. As it supports background download, you can go on watching YouTube videos, surfing Internet, Facebooking and listening to your music according to your choice! # Fast download via multiple connection for single Download. 1920×1080(Full-HD) For Pc & High – end Android devices like Galaxy Tab, Galaxy Note, Galaxy s4 etc. Language: TubeMate support a lot languages! like English, Spanish, Italian, Japanese, Argentinean, Chinese Simp, Dutch, Portuguese, Turkish, French.